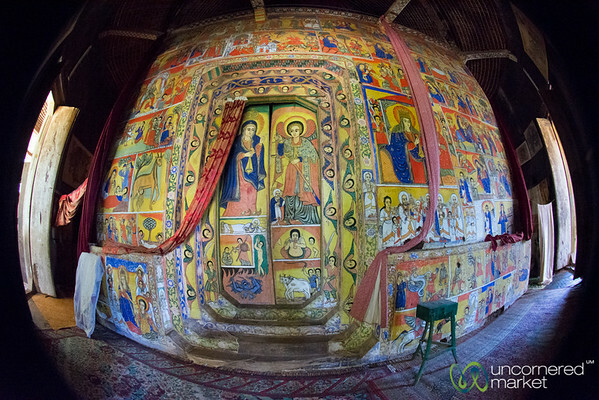 Photos from Bahir Dar, including a hike out to the Blue Nile Falls and a boat trip across Lake Tana to Zeghe Peninsula to visit Ura Kidane Mehret Monastery filled with Ethiopian religious paintings. 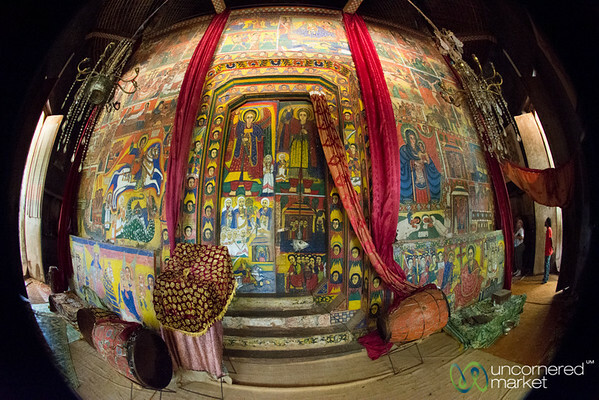 A fisheye view of the paintings inside Ura Kidane Mehret Monastery near Bahir Dar, Ethiopia. 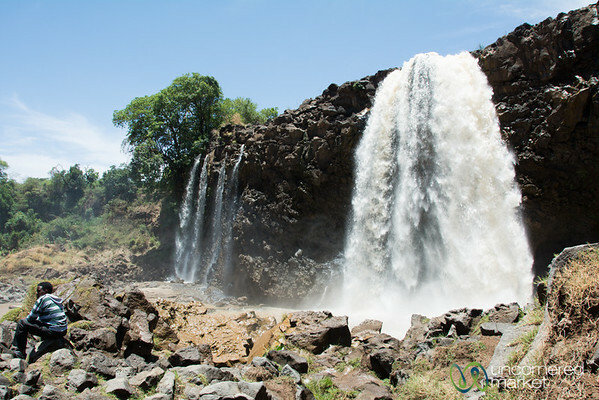 The Blue Nile Falls in the dry season. Apparently during the rainy season it is 400 meters wide. 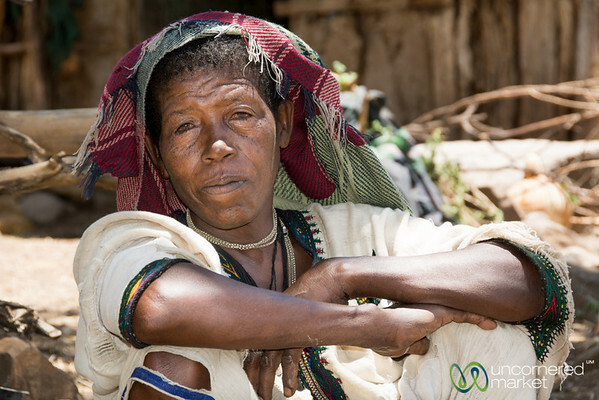 Near Bahir Dar, Ethiopia. 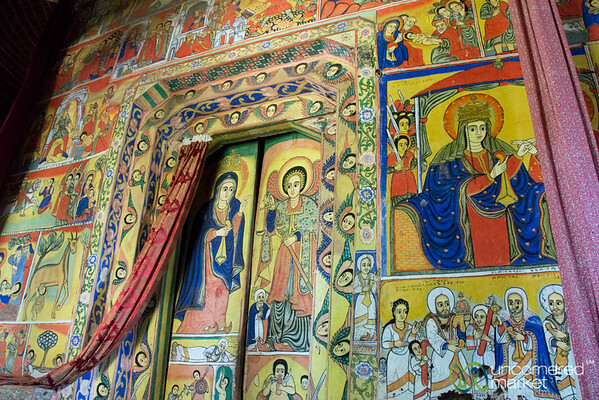 The inside of Ura Kidane Mehret monastery is covered in paintings like this that tell stories of the bible as well as holy Ethiopian books. Near Bahir Dar, Ethiopia. 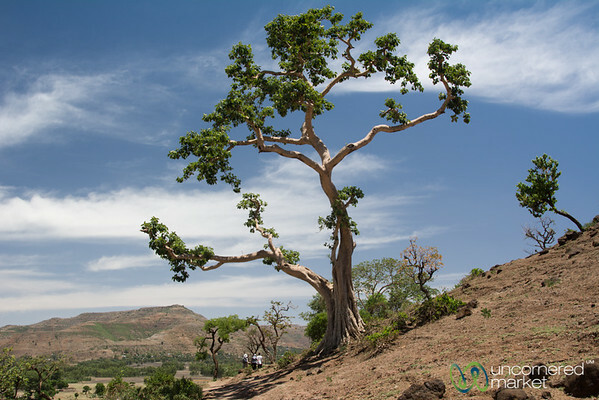 A beautiful tree stands in our path on the way to Blue Nile Waterfall near Bahir Dar, Ethiopia. 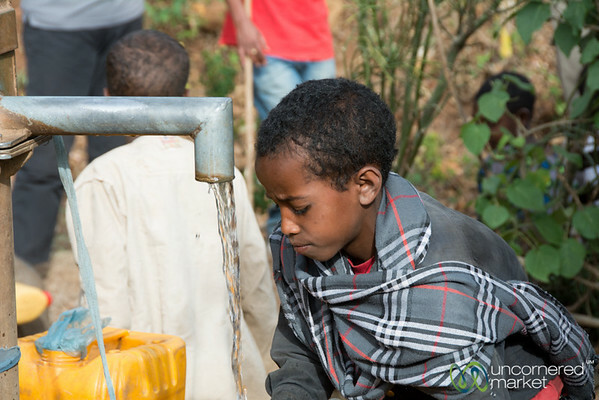 A young Ethiopian girl with beautiful eyes at a water pump en route from Bahir Dar to Gondar, Ethiopia. 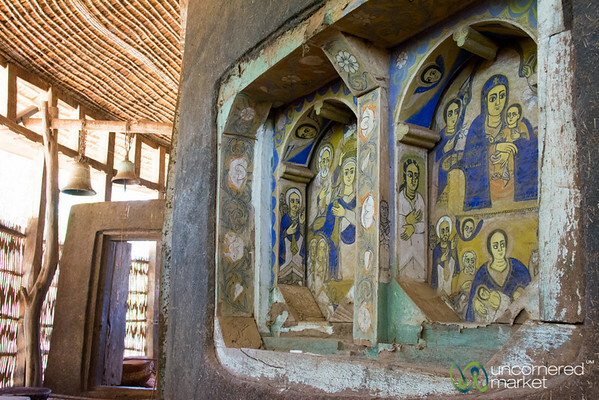 Window paintings in the outer section of the monastery of Ura Kidane Mehret on Zeghe Peninsula near Bahir Dar, Ethiopia. 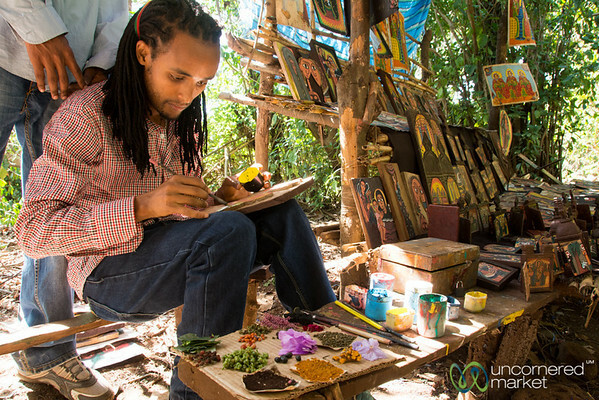 An Ethiopian artist is painting with natural dyes near Ura Kidane Mehret Monastery on Zeghe peninsula. Near Bahir Dar, Ethiopia. 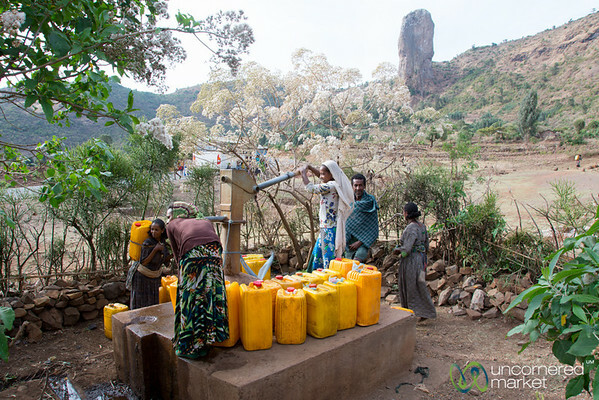 A typical scene in Ethiopia is people gathered around a water pump with large jerry cans to collect water. 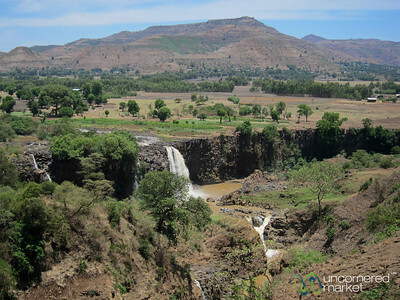 Taken on the way from Bahir Dar to Gondar in northern Ethiopia. 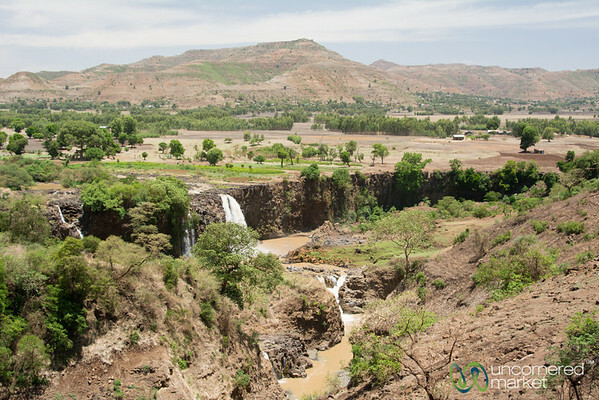 Walking up to the Blue Nile Waterfall near Bahir Dar, Ethiopia. 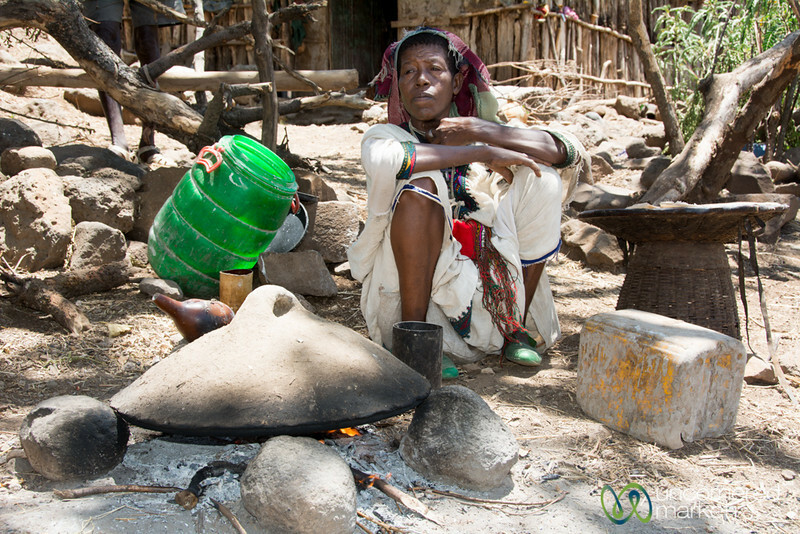 Waiting for the injera (spongy pancake-like bread) to cook in a village outside of Bahir Dar, Ethiopia. 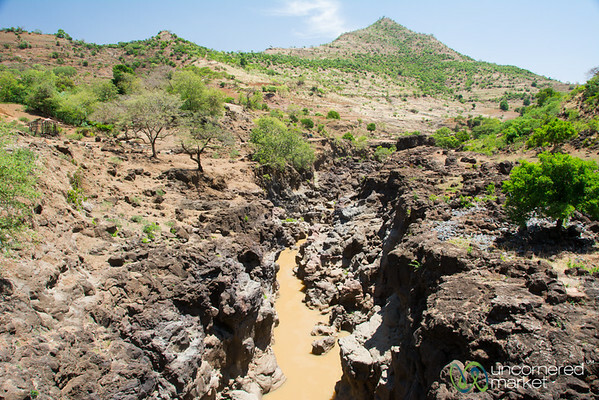 A view of the Blue Nile Falls in the dry season. Near Bahir Dar, Ethiopia. 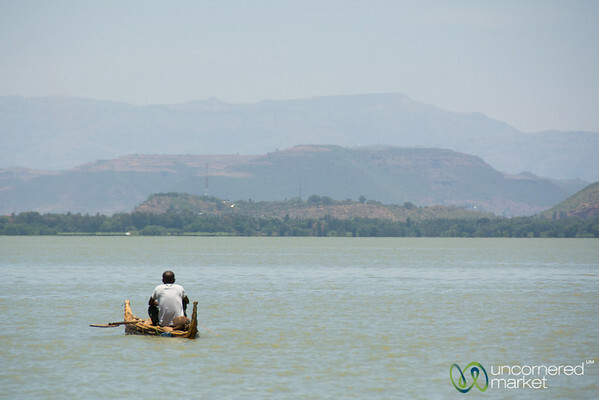 A fisherman is out in his traditional papyrus reed boat on Lake Tana near Bahir Dar, Ethiopia. 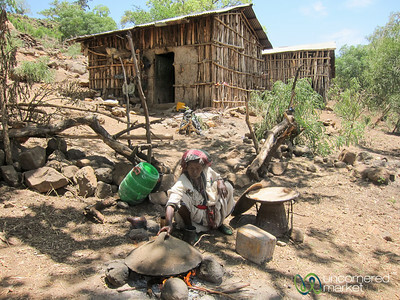 An Ethiopian woman prepares injera (spongy, Ethiopian flatbread) outside her house in a village near Bahir Dar, Ethiopia. 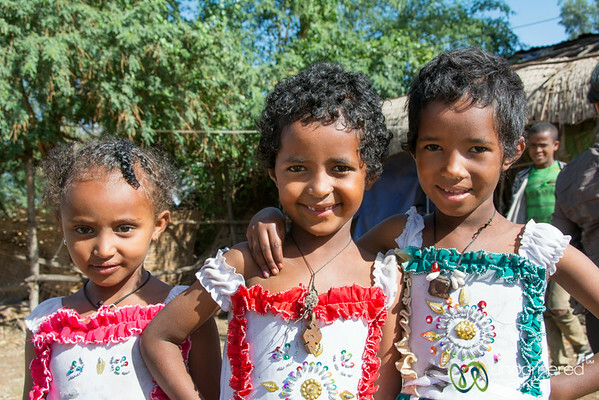 A group of Ethiopian girls dressed up for Easter celebrations in Bahir Dar, Ethiopia. 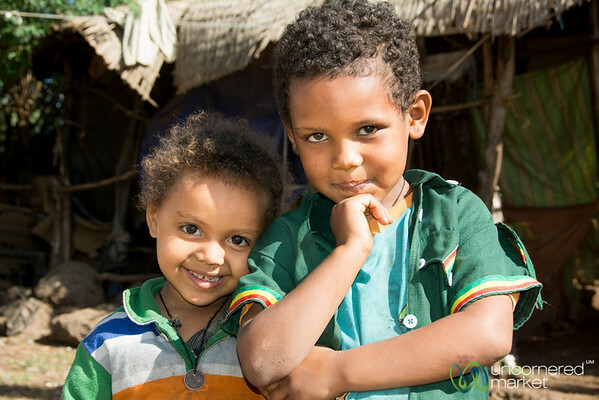 Ethiopian brother and sister pose for the camera in Bahir Dar, Ethiopia. People gather around the public pump to collect water for the day. 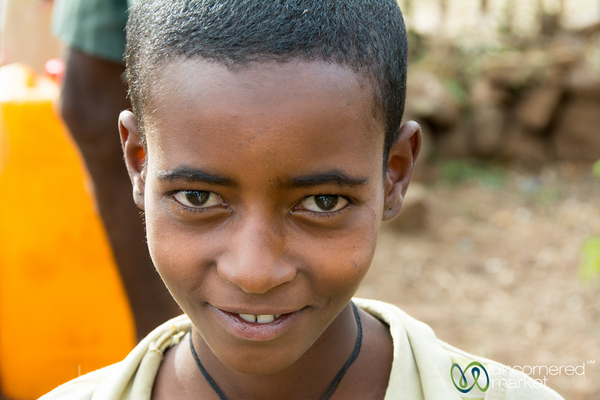 En route from Bahir Dar to Gondar, Ethiopia. 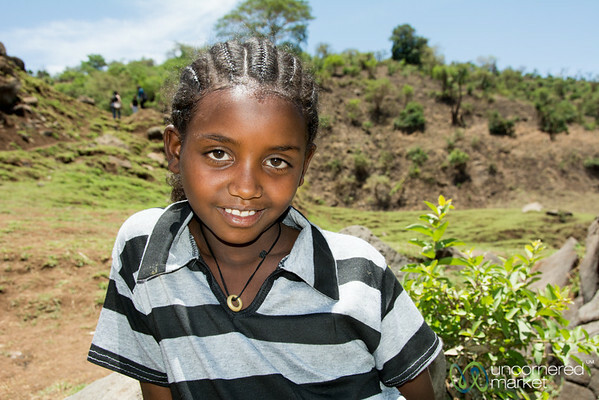 An Ethiopian girl visits the Blue Nile Waterfall near Bahir Dar, Ethiopia. Meeting an Ethiopian woman preparing injera (spongy flatbread) in a village outside of Bahir Dar, Ethiopia.